In my travels, I’ve stood in front of some amazing doors. I’m currently standing here offering you an opportunity to hire a talented content marketer. Hiring content marketer Seth Mason is opening your doors to someone who brings unique business insight and a unique set of skills to marketing. It’s hiring someone who brings a balance of creativity and analytical ability refined by unique life experiences. An artist, a serial entrepreneur, an M.B.A., a world traveler, and a content production and marketing enthusiast, I offer a rare blend of left-brain and right-brain thinking that I’ve used to propel enterprises of all sorts, including a mutli-market niche publication, a niche marketing consultancy, a nonprofit, a landscape design firm, a tutoring business, and a niche ecommerce site. I have the uncommon ability to see the world through the lens of a businessperson, a creative professional, and a man of the world, and my work reflects this. Perhaps the best way in which I can convey my value proposition in a compelling manner is in the form of Q&A. I frequently publish FAQ pages to help promote my businesses (such as this one from my tutoring business, this one from my ecommerce site, and page 7 of my publication’s media kit), so I’m sharing excepts from a recent interview for a potential employer below, adding links where appropriate. Please contact me for more information about how I can help grow your organization. Question: How do you learn about a new client or industry you’re not familiar with? Answer: When I get into an industry I’m unfamiliar with, the first thing I do is research industry subject matter experts and reach out to them. Before I got into my Spanish-language newspaper, Vida Latina, for example, I sought advice from experts in the industry, including a Hispanic media consultant, who ended up being a mentor. I took a similar approach before starting my other ventures. The internet is replete with valuable information that I use to learn about industries that are new to me. Additionally, info from the web has helped me learn some of the tools that I’ve used for my businesses across industries: HubSpot, WordPress, etc. When I’m working with a client who’s new to me, I learn as much as I can about her by looking at the work she’s done and the way she’s presented it (to get a feel for her strengths, weaknesses, style, and personality) and looking at her LinkedIn profile, paying special attention to what she posts to get a better feel for her. In a nutshell, if I’m hired to market for a client who’s new to me in an industry that’s new to me, I first get a feel for how the industry operates and how industry players operate and then compare the client with those players, generating marketing ideas based on SWOT analysis. Question: Can you share an example of how you’ve built a team to successfully execute a project? Answer: I’m a strong advocate of continuous learning, and I strive to become proficient in as many aspects of content marketing as I can, from SEO writing to graphic design. That said, I’m also a strong advocate of focusing on core competencies, and I realize that some people are better at certain tasks than I am. For example, while I’m a pretty good at designing logos, I’m not a career graphic designer, and I know that there are people out there who can create slicker marketing collateral than I can. So, when I created brochures on behalf of clients for my Hispanic marketing firm, Publicaciones el Nuevo Sur, for example, I personally focused on creating high-level design concepts and delegated the technical drawing to a dedicated graphic designer. I follow the same playbook for my landscape design business, Lowcountry Vistas. While I like to get my hands dirty installing small projects myself, I mostly focus on the core creative function of drawing landscape plans and delegate installation to dedicated landscape contractors. I’ve led teams of professionals of all kinds for my businesses, from graphic designers to freelance writers to videographers. Publishing every edition of Vida Latina was a huge team effort…it included directing writers, a graphic designer, and distribution staff. For Publicaciones el Nuevo Sur, I led campaigns of all types that required the expertise of professionals from different departments. For example, I once managed a campaign for a Mexican coconut water producer that wanted to break into the American market. This required me to not only direct creative professionals but also work with people from other departments of the business, such as logistics. As this was a foreign company, it also required overcoming cultural and legal obstacles. The primary selling point of Publicaciones el Nuevo Sur was bridging cultural gap between Anglo-owned businesses and Hispanic customers, and the coconut water project was unique in that my role was reversed: I represented a Hispanic business seeking to target Anglo consumers. Question: Describe a recent project you’re proud of and explain your role. Answer: Inbound marketing works for me. I’m terrible at cold calling, but I’m good at generating sales through content. I recently earned a major landscape design project with a prominent hotel in Myrtle Beach simply because they found me, liked the storytelling I feature on my site, called me, and were compelled by the value proposition I gave. This is my largest contract by far, and I wouldn’t have gotten it if I didn’t make a compelling value proposition. There are plenty of landscape designers in this region; they chose me because I made a good case that they should hire me because I offer something unique. At the end of the day, it’s the effectiveness of your value proposition that drives sales. Likes on social media, page views of your website, etc. are great, but the key ingredient of marketing is–and always will be–making a compelling argument as to why someone should patronize your business. Question: What KPIs do you look for in your projects? Answer: I’ve noticed that content marketers are placing more and more emphasis on granular KPIs. I’m a contrarian in that regard: I believe that the value of your message is far more important than incremental improvements to individual stats. I like to use driving as an analogy: Your message is the direction of your car. Granular KPIs are the readings on your dashboard. The importance of the latter is contingent on the effectiveness of the former. The most important KPIs are EBITA and the advancement of your cause. Notice I said EBITA, not MRR. It’s not merely revenue: Increasing sales by a million dollars is ineffective if it costs 10 million to generate the incremental revenue. As a businessperson, I look for increases to my bottom line above everything else. While I believe that earnings and the advancement of your cause are the most important KPIs, I’m adept at leveraging granular KPIs, too. 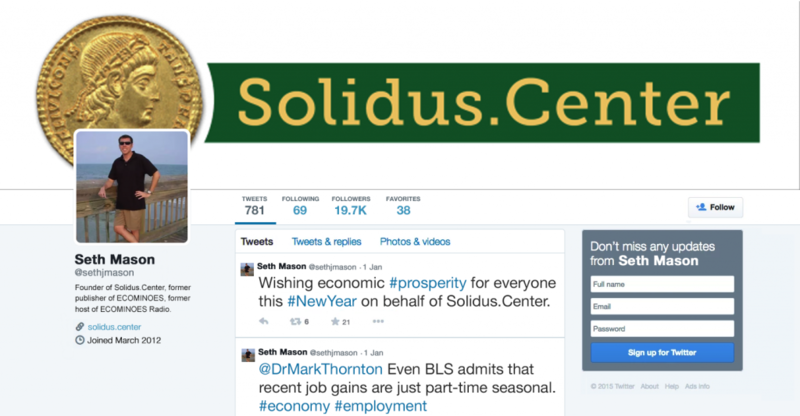 For example, I amassed nearly 20,000 targeted Twitter followers for my former nonprofit. To increase my bottom line, I primarily look at conversions and the path customers take to convert. I ask questions such as “what content yields the highest conversion rates from my ideal buyer persona using the minimum inputs?” Again, I look at the bottom line first and foremost, and I place great emphasis on maximizing efficiency. So, I look at changes to my bottom line and reverse engineer the process to see how positive changes came to be. If I find that the optimal path to conversions includes PPC advertising and landing pages, I increase my focus on that channel with A/B testing, etc. If it includes blogging, I focus on improving my posts with SEO analysis, refining my implied value proposition, etc. If a channel has a poor ROI, as social media did for my landscape design business and my Spanish tutoring business, I eliminate it and concentrate my efforts on what works. (Time is money, and ROI can be quantified by time spent as well as dollars spent.) That’s the key to maximizing ROI: Focusing energies wisely. With Lowcountry Vistas, my landscape design firm, I’ve found that organic search brings the highest ROI. By analyzing data presented by HubSpot and Google Analytics, I’ve determined that the most valuable customer conversions are obtained by people who found my business by searching the exact term “landscape designer” from an IP address that correlates with the Charleston, SC area. More often than not, these customers follow a path through pages that make the most use of my “landscaping native” branding (my primary value proposition is that I’m a rare Charleston native who has been landscaping in one form or another since he was 9 years old) until they reach the residential landscape design page. From that page, they fill out a form to request a consultation, and, more likely than not, hire me. By correlating information collected through the consultation request forms and monthly income (again, I consider the bottom line the most important KPI), I’ve determined that my ideal buyer persona is a recent retiree who has recently moved to the area or is in the process of moving to the area and is either constructing or has recently constructed a home with a value between $800,000 and $1,200,000. Based on these data, I’ve focused my marketing efforts on streamlining the path to the consultation form on the residential landscape design page. If I can’t convert someone from my ideal buyer persona immediately, I have their information stored, so I can send them periodic newsletters, season’s greetings, etc. to keep them interested. Eventually, nearly everyone from my ideal buying persona converts. Because of these efforts, the residential landscape design page now carries nearly a 100% conversion rate, and nearly 100% of the people who submit the consultation form are from my ideal buyer persona. I used to get more page views and conversions before I analyzed the data–traffic is down something like 25% year over year–, but that’s fine because I wasn’t necessarily getting the right conversions, and income is up 100% YOY. As I mentioned earlier, page views, social media likes, etc. are great, but improvements to the bottom line are ultimately what matters. Question: Do you have copy writing and editing experience? Please explain. Answer: I’ve authored and edited a significant amount of content over the years, including the verbiage on my websites–Lowcountry Vistas, Charleston Spanish Tutor, Best Gas Can U.S.A., and Solidus.Center, my nonprofit–, long and short form blog posts, articles submitted to 3rd party publications, radio ad scripts, and promotional video scripts. I’ve also been a prolific writer in my personal time: I used to publish an economics and politics blog called ECOMINOES, and I’m a former ghost writer for an investment site called Seeking Alpha. Question: Do you have interviewing experience? Please explain. Answer: Before starting my businesses, I interviewed subject matter experts in the various industries I was interested in doing business in. For Vida Latina, I interviewed dozens of Hispanic business and cultural leaders for profile pieces, such as Lino García, General Director of ESPN Deportes, and bestselling Mexican author Don Miguel Ruíz. (I also interviewed Hispanic celebrities such as Edward James Olmos.) To gather information for SWOT analysis for Publicaciones el Nuevo Sur, I interviewed dozens of business owners and several of their employees as well as several subject matter experts in their industries. For my radio show, ECOMINOES Radio, I interviewed several prominent economists and politicians, and at my internship for CNN Radio, I gathered quotes from subject matter experts from a variety of industries. 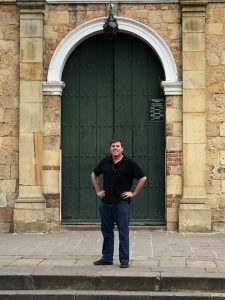 For Lowcountry Vistas and Charleston Spanish Tutor, I’ve “interviewed” dozens of clients to get a feel for what they’re looking for, what challenges they face, what their budgets are, and how committed they are to spending money on the services I provide. This is an important part of establishing rapport. 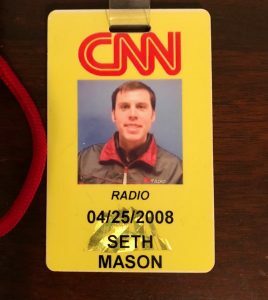 I gave up my weekends during the M.B.A. program at the University of Georgia to travel to Atlanta to intern at CNN Radio. 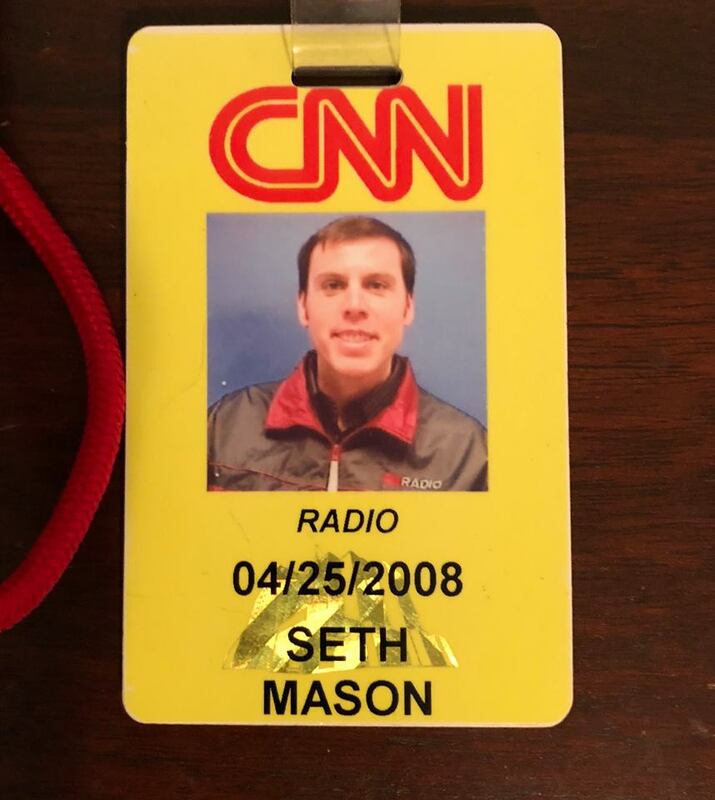 During the internship, I learned audio production and interviewing skills that I used for my economics and politics talk radio show, ECOMINOES Radio, and other endeavors. Question: What are your strengths and weaknesses? Answer: My greatest strength is my blend of creative and analytical abilities. I have a wide variety of skill sets that use both the left and right sides of my brain, and I have unique life experiences–such as frequent travel and integration with the Hispanic community–that help me bring unique perspectives to my work. I have a knack for identifying and capitalizing on businesses opportunities because of these unique perspectives. As for weaknesses, I tend to get impatient with people. As an entrepreneur, I’m a busy man, and I get frustrated when people don’t return calls when they say they will, don’t send emails by certain dates, etc. But I’ve learned that frustration is a neutral emotion: It can be good or bad depending on what you do with it. I may not be able to control what other people do, but I’ve been making a concerted effort to use frustration with others to motivate me to change the things that are in my control. As the saying goes, “grant me the serenity to accept the things I cannot change, the courage to change the things I can, and the wisdom to know the difference”. For example, I’ve been frustrated that some potential employers have doubted my ability to work on a team because I’ve always owned my own business. I’ve been rejected for jobs I’m perfectly qualified for because of this misconception…it’s been very frustrating. But I’m trying to use that frustration to motivate myself to improve my value proposition. And I’ve come up with the following as a result: While it’s true that I’ve worked for myself throughout my career, I’ve also participated on a number of projects as a team member. Putting together each edition of Vida Latina and delivering the marketing projects for Publicaciones el Nuevo Sur were tremendous team efforts, I worked on several group projects for the M.B.A. program, and I’ve contributed to several music projects as a group member. I’ve not only led team members; I’ve been a team member myself. Question: If you had to choose a slogan to describe yourself, what would it be. Answer: Marketer of profitable businesses through content.